Getting noticed on social media can seem tricky to a lot of businesses. Some businesses are afraid of posting too often for fear of being bothersome, and it’s hard to gain a strong following while also making posts that lead to sales. It can seem like there are no right moves on social media, but Facebook is still where people spend most of their time on the internet. So what is there to do? 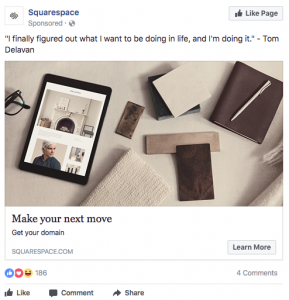 Facebook retargeting means that Facebook will match your advertisements with anyone who has had contact with your business online. 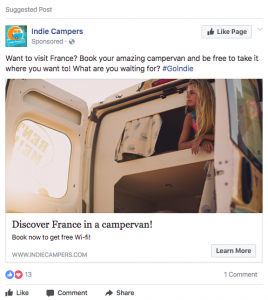 There are ways to expand your reach beyond that group, and a few reasons why you would work retargeting ads into your strategy. The most basic reason to use retargeting ads is that people don’t usually engage with a website on their first visit. By retargeting, you might catch them at the right time and have a higher chance to make a sale or find a subscriber. Another reason to use retargeting ads is that Facebook advertising is more difficult to ignore than other kinds of display advertising. 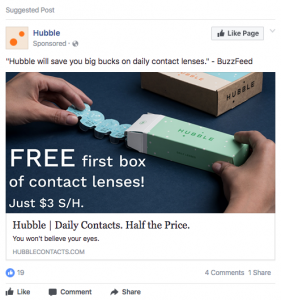 Unlike advertisements on a news site or on YouTube, these ads appear in the same feed as your friend’s posts, and look pretty similar to normal posts in the feed. If you have an email list of your subscribers or previous customers, you can import that directly to Facebook to find matches with Facebook users. Customer lists should be formatted a specific way. This basically involves using the proper fields, and selecting delimiting criteria like an excel data import. If you plan to use lookalike audiences, it’s best to have large initial sample audience. It can be anywhere from 1,000 to 50,000 people. If Facebook has more data, they can spot more trends and work harder to optimize your ad to find users that are more likely to engage with you. To do so you’ll first create a pixel in the Facebook Ads Manager. Then, add the pixel to your website. Using a Facebook pixel will let you retarget users who have visited your website, and can allow you to show your ads to lookalike audiences as well. If you’ve developed an app for your company or website, a small line of text placed in the code of your app can track users and allow you to market to them on Facebook in the same ways mentioned above. Once you’ve set up your targeting methods, the next equally important part of effective Facebook retargeting ads is the content. 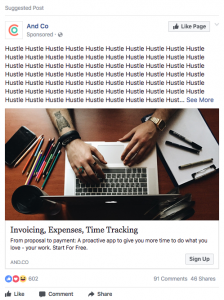 In general, there are 3 key ways to get your ads noticed when creating Facebook ads. Use interesting visuals – stay away from stock images. If you need to rely on stock, spruce the image up with overlaid text or bright and clear graphic design. Make it easy for a user to know what you offer and what you’re asking for. The best part about the ad is how brief it is. The headline is only four words, and neither the subtitle or the normal text is too long. The only shortcoming is that it doesn’t call for any direct action. A user would most likely not click “Learn More” unless they were ready to make a new website right at that moment. This ad is all cohesive around the same message. The image seems like it came right from Tumblr, but actually fits the idea of a French van vacation perfectly. It also offers the incentive of free wifi to create urgency. 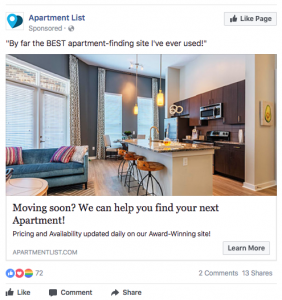 The apartment in this ad is beautiful, making it attention grabbing even on Facebook. The headline text is longer than average ads, but it’s not hard to tell what they’re offering. The only negative aspect of this ad is that the testimonial is anonymous and seems almost obviously fake. 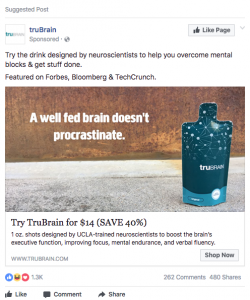 This nootropic ad has plenty of incentives and mentions the publications and scientists that approve of it. Although crowded with a lot of common marketing tactics, there isn’t much wrong. This ad isn’t horrible, it’s just not relevant to me. Their set audience must be wide enough to include people who have never worn prescription glasses, which will lower the quality scores and effectiveness of this ad. They should instead modify their targeting to capture more quality leads. This ad doesn’t fit well amongst the other things on Facebook. 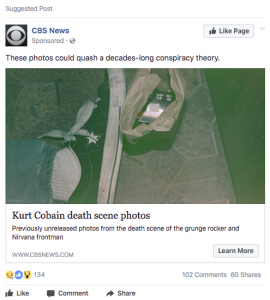 Death scene photos are dark and depressing and this particular CBS News article probably isn’t the best way to generate frequent visits and ad revenue from the CBS News site. Aside from the headline, it’s hard to tell what this ad is selling. It most likely relates to freelance work or employee management for entrepreneurs, but isn’t easy to tell that immediately. That, coupled with an obnoxious text line and stock desk photo is not great. This ad has some fairly unrealistic expectations of a Facebook user. Every section of text is fairly long, and there’s pretty low chances that this ad would pull my attention away from the news feed of friend’s statuses and animal videos. Unless I was extremely interested in becoming a Youtube star, this doesn’t make a great effective ad. Creating Facebook retargeting ads can allow you to target your audience when they’re not in active search mode. This will ensure that potential leads are reminded of your product or brand at the perfect time leading to a higher chance of a conversion. 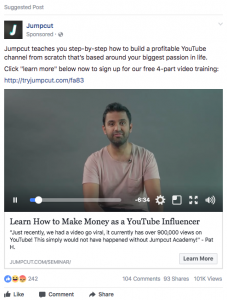 What has worked best for you and your brand when creating Facebook ads? Let us know in the comments!